Here is part 1 of 3 of Microsoft Xbox E3 Conference and what they talked about and announced! This includes a new Halo and Fallout! 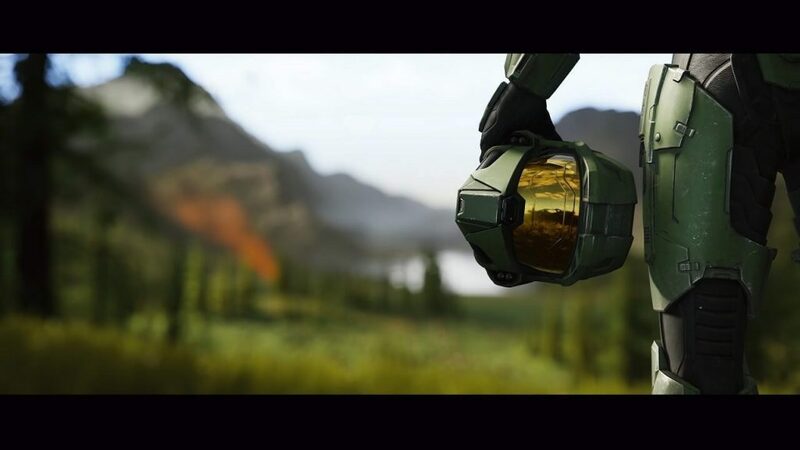 Microsoft opened its conference by showcasing the upcoming game of one of their beloved franchies, Halo Infinite. It also shows the new Slipspace engine that they are going to use for the game. The story takes place after Halo 5: Guardians and you will be playing more of Master Chief than the previous game. Again, feels like the game will not be out within the coming months as it has been told that the cinematic trailer was just to show the new engine. One of the major announcements in the Microsoft Xbox E3 2018 conference was the actual trailer of CD Project RED’s upcoming open-world RPG, Cyberpunk 2077. You play as V, but everything you do is what shapes V as the game features character creation, dialogue choices, and even gun play. Actually, this reminds me more of a Fallout experience that may have better story line (you know, like Obsidian’s Fallout 3: New Vegas). The game is set to be released on 2019. Ori and The Will of the Wisps is one of the best trailers in the conference, and I must say, it is also one of the most beautiful games in the conference. The game features a new combat system that brings more of a tactical standpoint for players rather than having a linear way to deal with enemies. This is while bringing all the key features that made the first game amazing. The game is set to be released in 2019 for Windows 10 PC and all platforms of Xbox. Developed by From Software, creators of the hardest games/series of the decade, Dark Soul, Demon Souls, and Bloodborne, Sekiro Shadows Die Twice takes place in Japan’s Sengoku era. You play as The Shenobi, who was left for dead as the young lord who you needed to protect was taken from you forcibly. You obviously survive this, and you swear to take revenge on those who wronged you. Based on the trailers and gameplay shown in the conference, the game has stealth elements, bosses (the one with the horse), and even a grappling hook mechanic. The latter seems to be a game changer as this gives players another aspect on how to play the game. It feels like the game is still a long way before actually getting an actual release, but mid-late 2019 seems to be the most plausible. Fallout 76 was already teased way before E3 started, and it has been revealed that it will be a full-fledged massive-multiplayer online game. I mean, it is obvious that this will not be a main entry for the series as it is quite close to the Fallout 4’s release, and we do not even have The Elder Scrolls VI. Although you can play solo, the core concept is all about cooperating with friends and taking down monsters together. Also, they mentioned nuclear missile sites that any players can raid and this can be used to wipe other’s bases. That would be spectacular, and frustrating, depends on the side you are standing on. Fallout 76 will be out on November 14, 2018. Pre-ordering the game can give you BETA access. 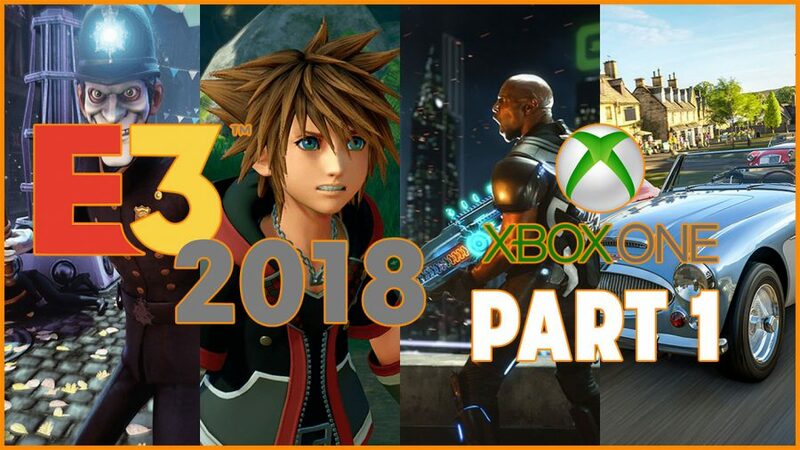 Crackdown 3 is an upcoming action-adventure game, it has also been in development for several years now, and too many delays have pushed the release date of the game next year, 2019. Hopefully, we can finally see this game on the shelves next year. The game will feature a world that is destructible and with different factions. Just like its predecessors, Crackdown 3 has Skills for Kills system where killing enemies with different variations and finding pickups hidden throughout the city would give players a way to increase their core skills. The game is set to be released on February 2019. Forza series has been a Microsoft exclusive ever since 2011, and every year they always release an entry for the series. The demo showed in the E3 2018 conference showcased Great Britain and other features such as dynamic weather, and shared world for its multiplayer. The game is said to run at 60FPS, and hopefully, it does on the base console, and not only for Xbox One X. The game is set to release on October 2, 2018, and it has Play Anywhere support, which means you can play them both on your console and on your Windows 10 PC. Good riddance, if you are not a fan of Metro series, I highly recommend you to play the first two games. Metro Exodus showcased in the trailer its in-depth weapon customization, and a first look of the scary world we are, once again, plunging into. Metro Exodus was originally set to be released this year, but publisher THQ Nordic announced that they had to move it on February 22, 2019, to give players the best experience with the game.